I just love me a big flowy blouse. 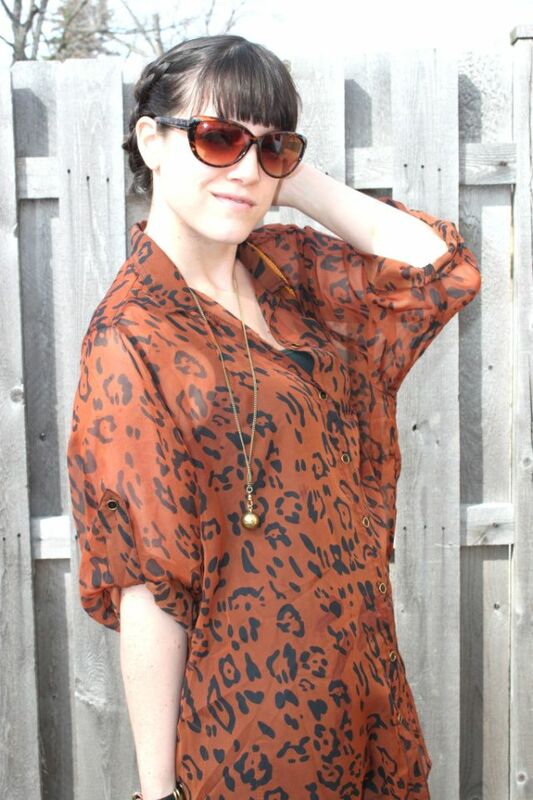 I probably should have belted this baby, but I guess that just means I'll have to try that next time I wear this top. Congrats to Gwen! I will be emailing you later today for shipping info. Thank you to all who entered and a big thank you to Just Fabulous for hosting this giveaway! **Please check out my new blog feature "Dibs"
So cute! I love that necklace!!! Super cute! And I bet it will look cute belted too. Excuse me, can I have this entire outfit - including your perfectly braided hair? SO PRETTY! Love this! thanks guys! and congrats gwen! after 2 plus years of entering giveaways on my blog, I was happy to see you # picked! 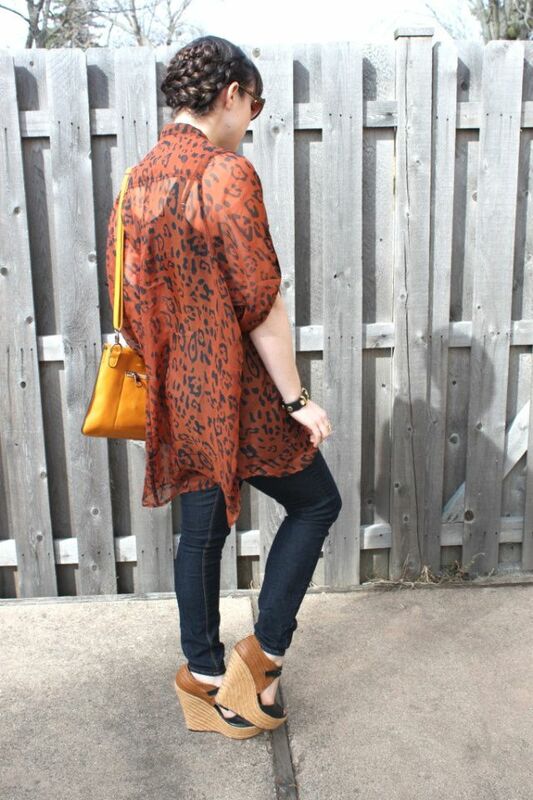 Adore a loose flowing button up like this..and with the skinnies, perfect balance. I agree with Katie above..can I have your entire outfit and perfectly braided hair?? Your top is pure purrrr-fection. I absolutely adore the print. lisa you look stunning, the blouse is gorgeous! Love love yuor top & shoes!!! cute wedges! 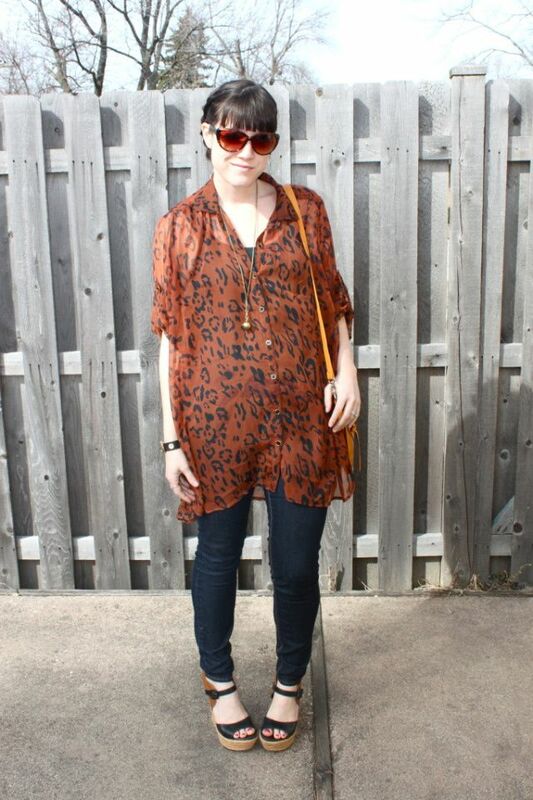 the colors go perfectly with the leopard top! Gorgeous! I love your shoes!